When I walk into my kitchen I can be sure of several things. There will be an everlasting (yes, really everlasting) stockpot on my stove, my knives will be clasped by a magnet on the wall, one corner will be occupied by my big crock of red wine vinegar, and my copper bowl (for whisking egg whites and boiling jam) will be suspended somewhere in sight. Near it will be my beloved sloping-sided copper saucepan dating back to the 1960s, key to béarnaise and hollandaise sauces. First, let's check out the stockpot. This is simply a large, rather battered saucepan into which I dump the leftover bones from roast chicken, duck, lamb chops, rib roast, or any robust, savory bones; there's no fixed recipe. After a couple of hours of simmering with water to cover, I have a fragrant broth. This becomes an unfailing resource for hearty vegetable soups, wonderfully rich stews, and the very best gravy. Day by day I add to the stock either meats or poultry but never fish. No seasoning is needed, nor vegetables such as onion, as they dissolve over time and cloud the liquid. 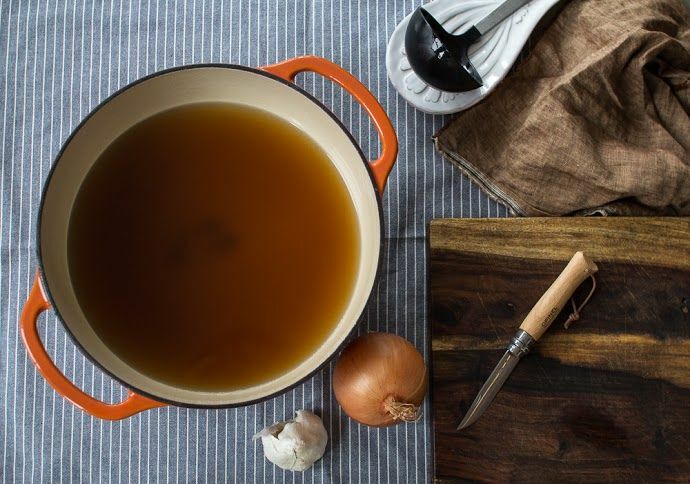 To keep it fresh, the broth must be brought to a simmer every day and skimmed of fat. From time to time I add more water to keep the bones covered, and that's it! After four or five weeks, the bones look bleached, so I strain them and then use the existing broth to start another batch. Home-brewed red wine vinegar looks after itself in a brewing crock. 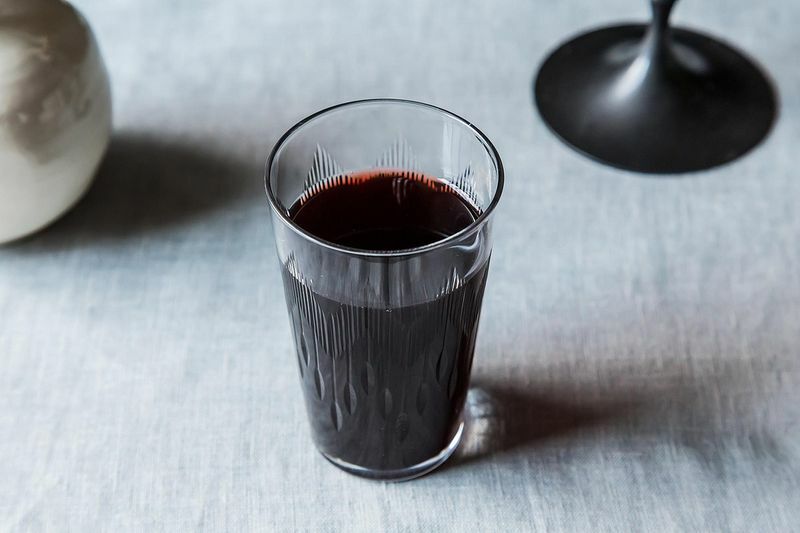 I simply draw off the vinegar from a tap at the bottom, and keep the crock replenished with dregs of red wine from our generous consumption at the table. Inside the crock is the key element, the invisible vinegar "mother"—a curious jelly-like membrane with acetic acid bacteria that converts the wine to vinegar. All that's needed is oxygen from the air so I cover the mouth of the crock with cheesecloth. My vinegar mother is more than twenty years old and has crossed the Atlantic twice. From time to time I pass on pieces to friends who want to start their own brew, but you can find the culture on the internet. Homemade vinegar is less acidic than a commercial bottle and has far more complexity. More: A genius mulled red wine from Anne. When we lived in France and had a large garden, I took up the country habit of brewing liqueurs from our fruit trees and wild bushes. Equal quantities of cognac and fresh grape juice produce a liqueur called ratafia, the blackberries from thorn trees can be macerated for sloe gin, while raspberries and sugar produce a surprisingly alcoholic cordial. Raspberry liqueur is often stocked, too. To make raspberry liqueur, pack 1 pound raspberries (do not wash them) in a pint canning jar, layering them with 3 cups of sugar. Cover the jar with cheesecloth so air can reach the berries. Store at room temperature. The mixture will ferment and bubble; stir it every week or two. After at least 3 months, or when the bubbling stops, the liqueur is ready to drink. Strain out the berries to serve over ice cream, with the liqueur in small glasses. Makes 1 pint of liqueur. The longer this liqueur is kept, the more mellow the flavor will be. More: Five other fermented drinks. 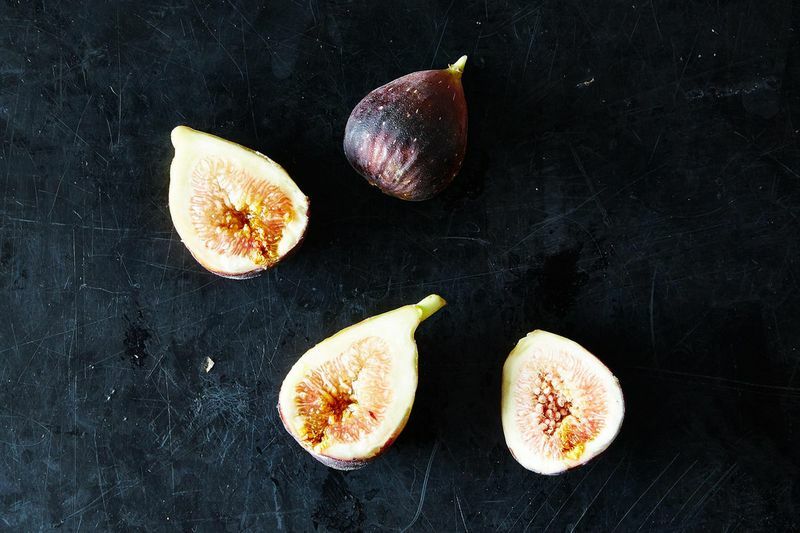 Figs tiresomely all ripen at once, so I make them into jam. In a large bowl combine 6 figs, cut in quarters, 1 1/2 cups black raspberries or blackberries, 1/2 cup unsweetened pomegranate juice, and 1 1/4 cups sugar. Stir to mix, cover and leave the fruit to macerate overnight in the refrigerator. Transfer the fruit, sugar and juice to a preserving pan or large saucepan. Bring the pot to a simmer, stirring to dissolve the sugar. Cook at a rolling boil, skimming often, and stirring so the jam does not scorch. When it reaches the jell point at 220° F on a candy thermometer, it will fall in a double drop from the tip of the spoon. Let the jam cool 2 to 3 minutes, ladle it into sterilized jars and seal. Makes 3 cups of jam. Spice mixes of course are included in my spice inventory, my favorite being this medieval blend that transcends time, delicious with duck, fish, and vegetables—lamb, too. In a sturdy plastic bag, combine 2 ounces ground cinnamon, 1 ounce ground nutmeg, and a 1/2 ounce each of ground ginger, black peppercorns, long pepper, cloves, grains of paradise, and dried galangal. Shake until thoroughly mixed. Seal the bag to exclude the air for storage. Makes about 1 cup of poudre fine. A half ounce of ground spice measures about 1 tablespoon. All these spices are available on the Internet. 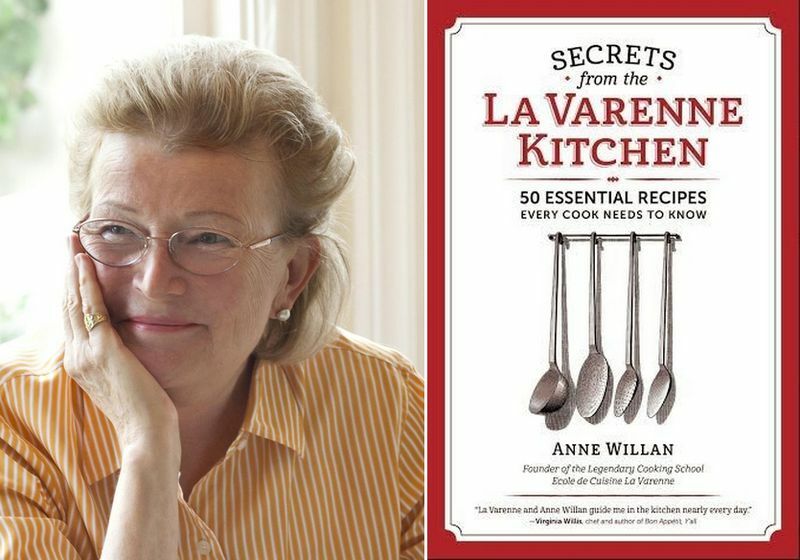 Anne Willan is founder of La Varenne Cooking School in Paris and Santa Monica. Her latest cookbook Secrets from the La Varenne Kitchen (Spring House Press 2015), features the 50 foundation recipes that were required learning for every student attending La Varenne Cooking School. Photos by James Ransom; author and cover images courtesy of the author. 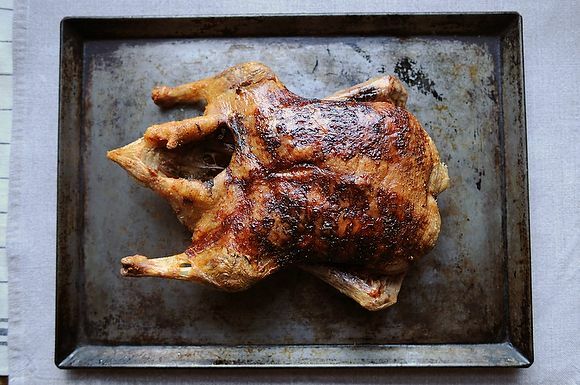 Tell us: What pantry staples do you think are better made yourself? I make my own jams, preserves, marmalade, mustard/mostarda, ketchup, bbq sauce, tomato sauce, salsa, aigre-doux, pickles, preserved lemons, relish, rubs, chutney, vinegar, infused oils, syrups, ginger beer, infused honey, shrubs, cordials, and brandied fruit (cherries and peaches). I'm so happy to hear Anne's voice on this site. I've been using her books and following her wisdom for years. Thanks Anne! So the stock sits out all the time? No need to refrigerate?! Hi Laura, thanks for your comment. As long as you bring the stock to a boil every day and let simmer for at least 5 minutes, than there will be no need to refrigerate. Butter - in my Vitamix.